Look up your property tax information online. Municipal Tax Collectors are bound by the Connecticut General State Statues; these can be found in Volume 204, Section 12 of State Statutes. The East Granby Tax Collector is responsible for the billing and collection of taxes for real estate, motor vehicle and personal property; as well as sewer assessment, sewer usage and water assessment charges. If you did not receive a tax bill contact our office or view your tax information online. When are taxes and sewer related charges due? Motor Vehicle and Personal Property (business) taxes are due July 1stof each year. Supplemental motor vehicle taxes are due January 1stof each year. Real Estate over $100 is due in two installments, July 1stand January 1st. Sewer and Water Assessments due September 1st. FAILURE TO RECEIVE A BILL DOES NOT EXCUSE THE OBLIGATION OF THE TAX DUE: Connecticut General Statute 12-130. The last day for payments (taxes) is the first working day of August (for July payments) and the first working day of February (for January payments). The last day for payments (sewer charges) is the first working day of September (sewer & water assessments) and the last working day of April and October (sewer usage). Forms of payment accepted in our office are bank check, money order, personal check NO THIRD PARTY CHECKS. 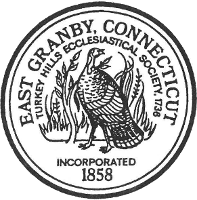 Checks are payable to East Granby Tax Collector. We accept cash including coin however coins are only accepted in the amount of $20.00 WE DO NOT HAVE A COIN COUNTER IN THIS OFFICE. Currency is accepted and counted three times in our office. Any excessive amount of currency the taxpayer will have to wait while we have additional staff come to our conference room with taxpayer to count said currency. Note our office is not a bank with limited change being the first customer of the day and your bill is less than $50.00 and we are given $100.00 bill we will ask you to go to a bank for change since this will deplete our change balance. You have the ability to use debit and credit cards at the counter. Please note the service fee to use these cards will remain, as this is a convenience fee charged by the vendor Official Payments. Online payments using credit cards are accepted through Official Payments via their website www.officialpayments.com or call 1-800-272-9829; please have your bill number and the amount to be paid (example of bill number is 2015-01-0000111 $1,500.00 Real Estate) on their site you can enter your Jurisdiction code 1705 or select Connecticut East Granby and payment type i.e. real estate, motor vehicle, personal property (business taxes), sewer use or supplemental motor vehicle. The tax year four digit code is on the bill example (2015). Official Payments charges a nominal fee for this service. Penalty for late payment: All tax and sewer related charges not paid within one month of the due date are delinquent and subject to interest calculated at 1.5% per month from the original due date (January 1, April 1, July 1, and October 1), with a minimum charge of $2.00. 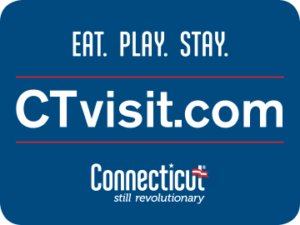 All delinqent motor vehicle taxes are reported to the State of Connecticut, Department of Motor Vehicles. This will prevent you from renewing your vehicle registration.To receive a Department of Motor Vehicle clearance all taxes on motor vehicles in your name must be paid in full by cash, bank check or money order to receive a DMV release. If your check is returned unpaid by the bank, an additional fee of $20.00 will be added to your balance due. In addition, you may be charged a penalty by your bank. Contact the Assessor’s office at (860) 653-2852 directly to determine the documentation that must be provided. If you transferred plates from one vehicle to another, the July bill must be paid and a credit will be given on the January Supplemental Motor Vehicle tax bill for said payment. Questions in reference to assessments or exemptions should be directed to the Assessor’s Office, Town Hall, 9 Center Street, East Granby, CT 06026 or call 860-653-2852. Before anyone can do business in this state under any name other than their real name, a certificate stating the names under which the business is to be conducted must be filed in the Office of the Town Clerk of the town in which business is to be conducted. This certificate must show the full name and post office address.The Town Clerk must keep an alphabetical index of the names of persons filing trade name certificates and of the trade names filed (Sec. 35-1). Any business failing to file may be fined not more than Five Hundred Dollars. In addition, per Sec. 12-54, any person liable to give a list of taxable property and fails to due so may be notified in writing to appear and be examined under oath as to the property liable to taxation and for the purpose of verifying a list made out by them as provided for by Sec. 12-42. Any person who willfully neglects or refuses to appear before the Assessor and make oath shall be fined not more than One Thousand Dollars. Please contact the Town Clerks Office for more information. Per CT State Statutes Sec. 12-130 the 2018-2019 fiscal year budget for the Town of East Granby estimates that $2,645,364 will be received from the State of Connecticut for various state programs. Without this assistance, the mill rate for the fiscal year 2018-2019 would be 37.64. The actual mill rate for fiscal year 2018-2019 is 33.00 for real estate, personal property and motor vehicles.